The 2018 Utah Legislative Session is off to a great start. The first week was busy and exciting, as the legislature began to debate the record number of bills that have been filed this session. This year I am working on topics that span from A to Z - air quality, elections law, identity theft, renewable energy development, zoo funding, and many more issues. I want to hear from you concerning bills or funding issues. I am your voice during the session and want to make sure that I know your opinions on the issues facing the legislature. Please review the suggestions under "Contacting Me" in the lower part of this email before sending me a message. Along with some of my House and Senate colleagues, I will be holding a Town Hall Meeting on February 7th from 7:00 - 9:00 pm. The meeting will be held in the Big Cottonwood Room at the Holladay City Hall, located at 4580 S 2300 East, Holladay, UT 84117. Rep. Moss, Rep. Poulson, Sen. Iwamoto, Sen. Zehnder, and I will be there to discuss what is going on at the Capitol and answer your questions. KSL's Doug Wright will moderate, as he has in past years. I always enjoy participating in these town hall meetings and I would love to see you there! On the first day of the session, one of the bills I am sponsoring, HB16 - Candidate Replacement Amendments, passed unanimously through the House. HB16 addresses the issue that occurs when a candidate withdraws from a non-partisan municipal or a non-partisan county race and only one candidate remains on the ballot, leaving voters with no alternative option. 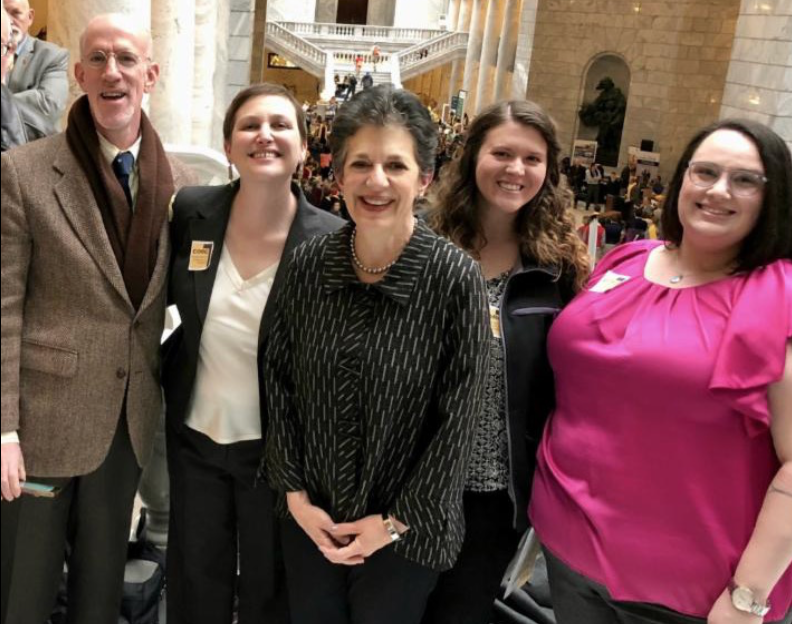 Working with the Utah League of Cities and Towns, the Utah Association of Counties, the County Clerks, and the Lieutenant Governor's office, HB16 was drafted to resolve this issue. HB16 establishes a method by which an alternative candidate can appear on the ballot if that vacancy occurs after a primary. It also removes a provision in current law which prohibits a candidate from withdrawing from a race within 23 days of the election. The Lieutenant Governor's office described this provision as unenforceable. HB16 has been assigned to the Senate Government Operations and Political Subdivisions Committee, where it will be debated next Tuesday afternoon. The text and status of the bill can be found here. HB38, sponsored by Rep. Dunnigan, passed the House last week. This legislation restricts the number of days that fireworks are permitted. It permits fireworks two days before and one day after the Fourth of July and Pioneer Day, and would continue to allow fireworks on Chinese New Year. It also allows local jurisdictions more power to restrict fireworks around vulnerable areas like waterways, canyons, trails and washes, and increases fines. Although I supported this legislation, I do not think it goes far enough to safeguard our communities from fires and help mitigate air pollution. Rep. Marie Poulson proposed an amendment, which I supported, that would have allowed cities to impose an outright ban on fireworks under certain circumstances. The amendment failed. Many thanks to those of you who contacted me about this bill. I appreciate all the hard work Mayor Jeff Silvestrini put into this legislation. I am already working with Rep. Dunnigan to review, during our 2018 interim meetings, on issues caused by private fireworks. You can find the text and track the status of the bill here. On Friday, one of the bills I am sponsoring, HB180 - Art Collection Committee Amendments, was heard in the House Government Operations Committee. 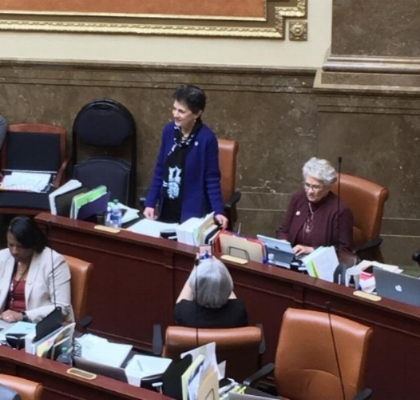 HB180 changes the name of the "Utah State Alice Art Collection" to the "State of Utah Alice Merrill Horne Art Collection". It is important that we honor the substantial work Representative Horne did for the state by including her full name in the collection. Rep. Horne was a preservationist, environmentalist, and suffragette. A strong supporter of education, she passed legislation to set aside the land grant for the University of Utah. She also passed a Clean Milk for Utah campaign that resulted in more rigid inspection standards for milk sold in the state. A talented artist, Rep. Horne presented hundreds of fine art exhibitions in many venues. 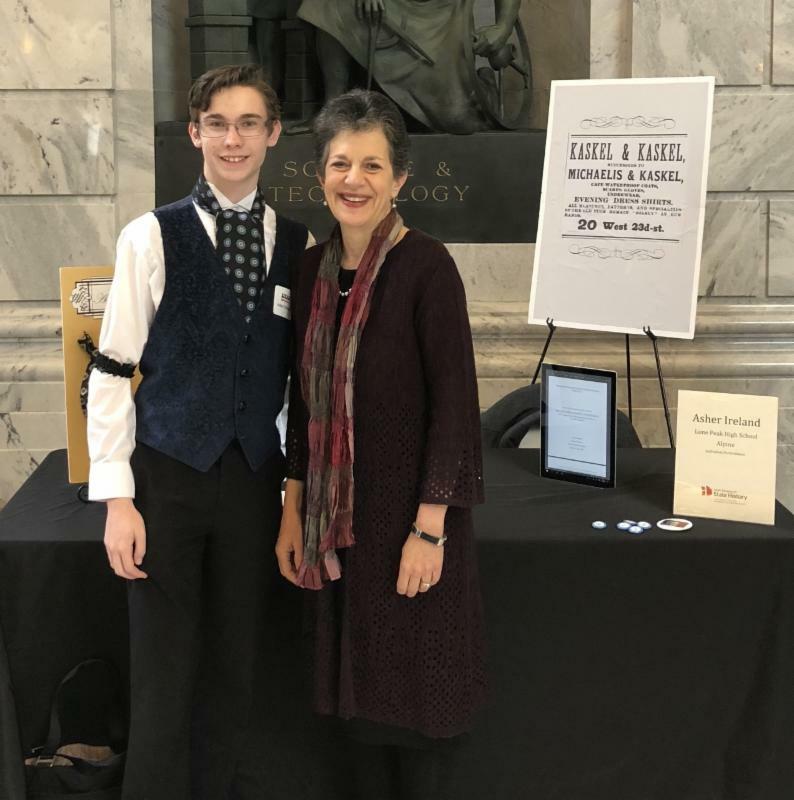 She formed 37 collections of Utah art in public schools, so that all children, no matter their parents' means, would have direct contact with original art. 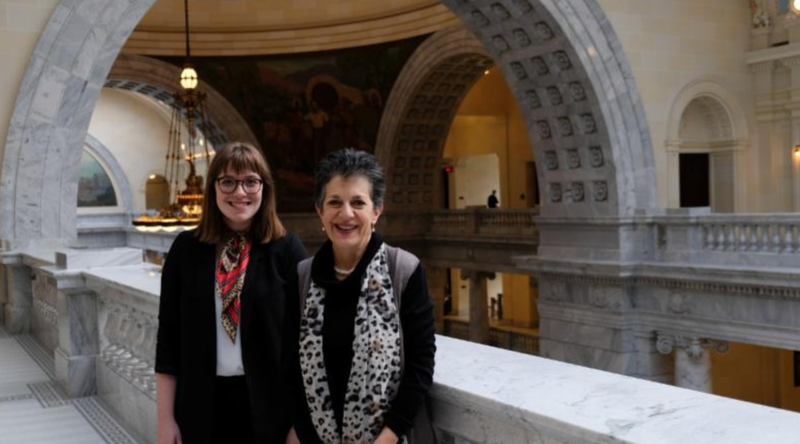 Horne established an annual statewide visual arts competition through which artworks by Utah artists are purchased for a permanent state art collection. This competition continues today. 2018 celebrates the 150th anniversary of Alice Merrill Horne's birth. HB180 received a unanimous favorable recommendation from the House Government Operations Committee and will be heard by the full House next week. You can access the bill text and track the status of the bill here. My intern this session is Abigail Mower. Abigail is a sophomore at Westminster College majoring in political science, as well as a resident of District 36. You can reach Abigail through her email, mmower@le.utah.gov, or by calling her cell (385) 441-0560. I always love to hear from my constituents, so please feel encouraged to reach out to me throughout the session about any questions or concerns you may have. The best way to reach me is through my email: parent@le.utah.gov. I personally read every email I receive, but during the session, I often receive hundreds of emails a day so I have included some tips for contacting me below. Due to the number of emails I receive in a day, I often don't have time to respond until my "free time" around 1:00 am. If your message is for informational purposes only and does not need a reply, please include that in your message. Texting is best used to bring an immediate concern to my attention (i.e., a bill about which you have concerns and is about to be debated in a committee or by the full House). Calling should be used as a last resort. If you prefer to call, my cell number is 801-889-7849. Please understand that I am often not able to answer the phone, and by the time I am free it is often too late to call you back. If you can leave a voicemail message be sure to include your name, number, home address, and the reason you called. 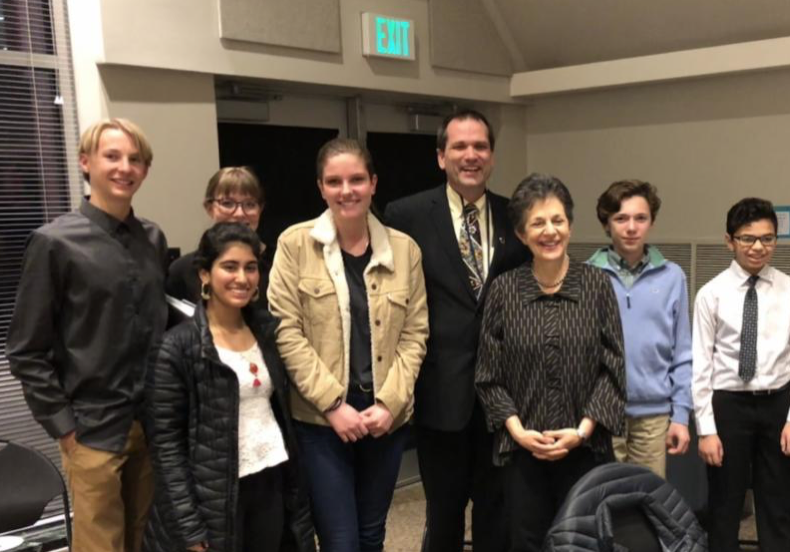 Rep. Arent, Rep. Ward, and Abigail Mower with students from West High School, the McGillis School and School for the Performing Arts at Climate Solutions for a Healthy Future hearing. It is truly an honor for me to represent HD 36. I look forward to hearing from you and seeing you at our Town Meeting.